Season 3 of Supergirl has introduced viewers to a whole new super-team: the Legion of Super-Heroes. 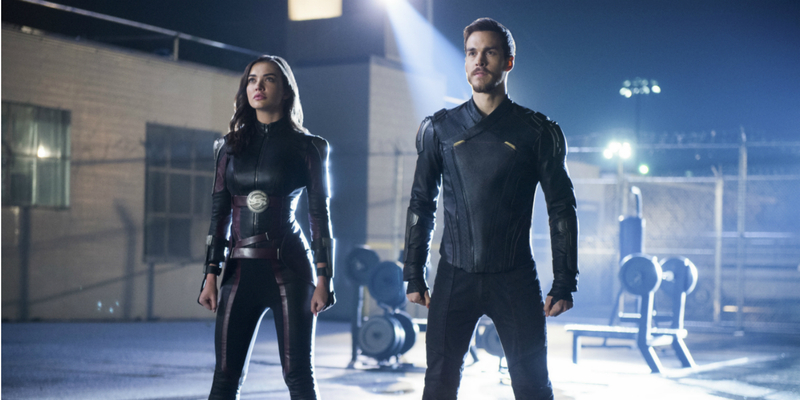 Originating in the 30th century, this band of aliens and metahumans have proven to be tremendous allies in the fight against Reign. However, their arc is clearly setting up for the Legion to ultimately go back into cryogenic sleep, and continue their journey back to their own time. That probably means the Legion’s days in Supergirl are effectively numbered. What’s more, it’s clear that time-travel in Supergirl isn’t quite as easy as it is in the Arrowverse. So once they’re gone, the Legion are unlikely to come back any time soon. What’s next for the Legion? The post Legion of Super-Heroes Should Replace Legends of Tomorrow appeared first on Screen Rant. This entry was posted by Screen Rant on February 11, 2018 at 6:57 pm, and is filed under TV News. Follow any responses to this post through RSS 2.0. You can skip to the end and leave a response. Pinging is currently not allowed.